To honor people and cities that had a profound effect on the course of the Syrian revolution, anonymous artists created special stamps and published them on Facebook. 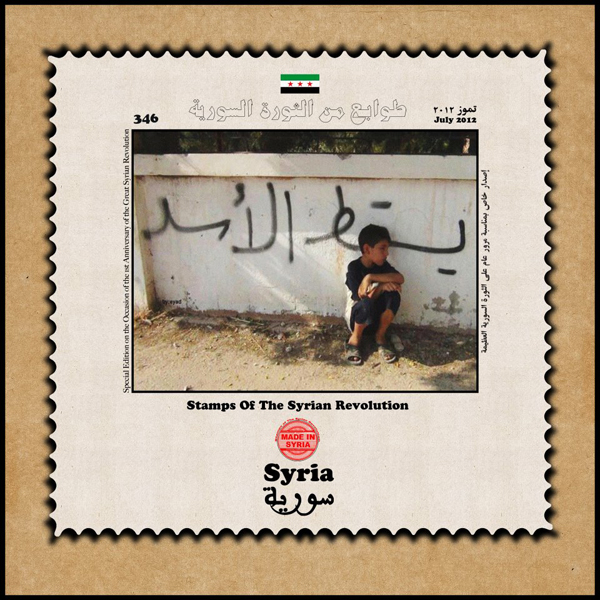 Stamps of the Syrian Revolution are mock postage 'stamps' that feature photos of events ripped from the headlines, or of influential people in the uprising. Sometimes the stamps feature key figures suggested by the fans of the page themselves. With over 400 stamps and counting, the page represents a major visual archive and timeline that documents the revolution as it unfolds, and pays tribute to its supporters.